Happy Bloggers With No Makeup Day! I'm aware that this tradition was probably a short-lived one for most, starting two years ago (see my previous Heart 2 Heart posts), but I've found that sticking with this day for the last 3 years has not only given me strength and encouragement, but also a greater hope that youtube and blogs can really make waves of positive impact. As much as I love makeup, I love encouraging women to love themselves even more. The concept is that today, we share with the world our bare face. No eyeliner, concealer, mascara, foundation, lipstick, or whatever else it is that we hold dear to our makeup pouches. I've found that this annual "holiday" has made me grow as a person and there are few things that I've done as a blogger that have been as rewarding as being open about my imperfections. Video and my makeup history below. Everyday, one of the hardest struggles we have as women is that we always compare ourselves to others and criticize those around us. It is often out of jealousy since who, more than ourselves, can see all of the areas in which we are failures? This is why we put on our high heels, curl our hair, and waltz out of the house with a shield of foundation and a sword of lipstick: to give us strength in a world that is heck-bent on beating our confidence and spirits down. It's easy to take those weapons and use them to try and hide everything that is broken, but it often comes across as self-consciousness. How many of us have seen a girl with a foundation tan three shades darker (or lighter) than her skintone and thought, "Oh honey, no! You are too beautiful to be doing that to yourself!" I bet all that girl wants to hear is that no matter what shade her skin is, she IS beautiful and perfect the way God made her. Cliché, but so incredibly true. Our dark circles, wrinkles, and acne scars aren't our enemy. Our minds are. All of our insecurities live there! Since nobody is perfect (which is a fact that is utterly undebatable) the possibilities of being insecure are endless unless we change our minds and hearts and simply learn to love ourselves just as we are. Trust me, if you can accept yourself on your worst days, it's so easy to celebrate in the days when your inner beauty shines so hard it can't help but overflow into your outer beauty so that everyone notices. This revelation is the very reason I can bare to post videos online at all. I am not the supreme confidence master, I have just learned to love myself with all of my acne scars and oily hair and skinny, short, flat-chestedness. I don't actually like how I look without makeup, but I appreciate the fact that by me showing everything I am afraid of, it can give others the strength to be unafraid. Lets take our confidence in our own hands and say we ARE beautiful because nobody can give that to us but ourselves and nobody can take that away. Your heart to heart video really inspired me. Everything you said rings true, and you are really such a brave and beautiful person (inside and out)! I love this annual tradition you have. I just noticed a typo in your blog post though...shouldn't it be bear instead of bare? "This revelation is the very reason I can bare to post videos online at all." ah this is definitely why i admire you so much jen! I personally struggle so much with not just my appearance visually on my face but my body itself. I'm far from perfect but the images that people always depict regardless where we are have this fake impossible image that they want us to attain and it makes it even harder to appreciate and love myself. I'm starting to become more confident in that and your post totally reminds me of how much i've been thinking about it the last few months! You are truly an amazing person Jen! Over the past three of your heart 2 heart videos you have helped me and probably thousands of others out there to be more confident in themselves. Thank you for inspiring me. Jen, I look up to you,you're amazing! Thank you for all of your videos, lessons, thoughts and time! You are beautiful in and outside! Xoxo from Brazil! This is such a lovely and inspiring post. ♥ Inspiring post Jen... :) Beautiful! Jen, you rock. Thank you so, so much for being so real. I thank God for the existence of makeup and beauty products. I have hyper-pigmentation too; I scar easily from acne and my scars can last for years! And I don't want people to look at my flaws, I want them to look at ME. So I totally agree with you, we are not whatever is outside, it's the heart inside that counts. And yes, people NEED more videos on how to be happy, NOT how to look pretty. http://tenpmtea.tumblr.com/post/23069889846/thanks-jen <-- Thanks Jen for being you! I have a lot of respect for you for doing this. Thank you for sharing something that most of us can relate to. You're beautiful and amazing. Jen, sweetie, you mean so much to so many of us, that I can't even begin to explain. You are so brave for doing this post. I appreciate your heart 2 heart videos tremendously. I feel like most of the "beauty gurus" that you talked about are out of touch with their readers. When they blog, they always seem to place themselves on a pedestal so their readers can tell them how wonderful and stylish they are. You, in comparison, have always been more down to earth. By posting this video, you distant yourself from those "beauty bloggers" and makes yourself a true role model. For that you are beautiful. I have been following your blog for the past 2 years and I just wanted to let you know that I appreciate every tutorial. You have made me become more comfortable with handling makeup and more confident in my own appearance. I am greatly appreciative towards all your hard work and look forward to more posts down the road! love you, jen! i always look forward to your posts, and i can tell from your videos that you're beautiful both inside and out. i really admire your courage in doing the heart 2 heart. please keep up the fantastic work you've been doing! I usually never comment but I had to this time. What an inspiration you are, Jen! I loved this, and I think I love you too, you are such a sweetie!! Keep up the good work, you're doing a lot of good for a lot of women. this is so inspiring! thank you for doing this really brave thing! To be honest I've had acne since 4th grade (i'm 20 now) and I've lacked self-conscious ever since..
when people look at me, i feel like thay're staring at my acne and it's just horrible for me..
i really think i'm ugly and my skin is just so horrible and everything is horrible for me..
it's just so hard for me to love myself..
You are a beautiful woman inside and out. Christ is your light and lives inside of you.. true beauty emanates from a woman who boldly and unabashedly knows who she is in Christ. You're beautiful without make-up too. Some acne scars doesn't make you ugly, believe me!! Kudos Jen! Awesome job about giving the message to all women around the world! I love how you always so encouraging and at the same time honest and true to yourself. :) Thank you for being a great role model! I come every time, without leaving comment. Today, I want to tell you, you are just too beautiful inside out. Thank you, Jen, for being so honest and encouraging. You have truly been an inspiration to me- I discovered your videos during a time of self-neglect as a new mom and as a result, have learned to use makeup as a means to take better care of myself and feel better about myself while being so physically tired as a working mother with young kids. Real beauty is from within, and you truly exemplify that. Seeing your struggle reaminds me of mine. We are the same age, I had really bad acne since 15. I so would love to help you quit this battle with acne. Well, I don't know if this will help you. But try it - maybe it will really change your life as it has changed mine. I've gonne through all the antibiotics, acne creams, hormonal pills etc.and finally I've met a doctor, that has told me it's not about what you put on your face. It's all about the diet in some cases. She told me to quit on eating anything made of grain and basicaly to follow gluten-free diet. First two-three months very strict. So no bread (only those made of rice or other that people with coeliac disease may eat), no cakes, no pasta, no pizza, NO anything made of grain. Secondly I had to quit all the milk products. And to avoid products with high glycemic index. I started to eat more millet (instead of musli in the morning), more vegetables (esp. broccoli, tomatos) and fruits. My diet also included a lot of fish (but no other meat) and eggs. After 2 months I started to see a significant difference, after 10 months - right now - I can basically say my skin has never been better. It's like a miracle for me. If you have any questions about that please email me. I hope this will help you, as it had helped me, few of my friends and a lot more people where I live. Sending you a lot of love!!! Great post, Jen! The most important thing is to love ourselves no matter how beautiful you are on the outside as long as you are beautiful on the inside! Thanks for this really inspiring and well-written post! You are truly a beautiful person - inside and out and, I'm not trying to say this to please anyone, I feel like you've become such a role model for girls, me included, who still find it terribly difficult to accept just what we are instead of what people think we are. Your blogs and vlogs have always been a joy to read and watch and useful (especially to me as a mono-lidded Asian). I can't express enough how much I appreciate the time and effort you have put into it; I just want to say that every time I see you on YouTube/ read your words, there's a surge in me to say BIG THANKS to you, as a smart makeup artist, and as a person of profound genuineness and kindness. This post is written so beautifully it almost made me cry. (I was reading it at work and tears for any reason at work is not good) I am sure it requires a lot of courage for you to do this so publicly. For that I have a lot of respect for you. I'm thankful that you're sharing this with everyone in whole wide world.. Thank you Jen for the inspiring video blog.. I'm still having bad acne problems myself. I know they said that when you reached a certain age, you won't have any more acne problems. But I guess I still do.. and like you've said It's Important to Love yourself.. If you never learn to love yourself, you won't let the inner beauty in you to shine.. Thank you so much!! I really appreciate it..
Oh I forgot, I also started wearing make up at a very rather later age.. not in college years but now at a working age because I used to and still do think that natural beauty is still the best.. not make up is a bad thing or anything but nothing beats natural beauty.. this is how i felt and This is how I am.. I do not use make up to make people feel better of me rather of how you bring yourself towards people..and till now I do not use make up everyday LOl You got to make people like you for who you are.. :D :D Thank you so much for bringing this and sharing with you it's an honour..
great post! very inspiring! I've been having self confidence issues lately, and this post made me think. i agree with everything that you said. thank you for being an inspiration! i'm keeping this in mind from now on: "the possibilities of being insecure are endless unless we change our minds and hearts and simply learn to love ourselves just as we are"
You are incredible. Words honestly can't describe how much I needed this. In a way I think I lost myself these few years. Caught up in my own world. Forgetting the pure essence of what it felt like to truly be who I want to be. To remind myself that I can be strong. That I shouldn't have to pay attention to what people think of me..
Thankyou for sharing this Jen. Hi Jen, i have been a fan of you since i watched your bridal tutorial 2 years ago,i also did a similar make up on my wedding day and people loved it.I 've always want to say thank you!! !thank you so much for doing these make up tutorials.you helped me a lot in many ways I'd watching your video to improve my language skill ,it must sounds crazy to you but i promise that is truly true! i hope my English make sense to you, this is my first time comment on your video because of this heart to heart, i want to tell you ,you are a beautiful person no matter inside or outside!!!! i amazed about how you are kind and real....i have always wear make up to work,its not because i want to be better then the other workers,it is because i want to respect them and also respect my self at the same time. :) jen,this is my heart to heart comment to you,love you!!! Thumb up for this video. Thank you for taking an encourage to do it, and thank you for affirming your care and love for us all as women. I was almost cry to watch your video because I've been through the same thing. I don't want to go out to the mall or anywhere else that people wearing make up and I just look weird to them because I don't wear make up at all. It takes me long time to realize how I'm beautiful in God's eyes. Thanks so much, Jen, for this meaningful video, and I pray that it will be source of encouragement to all ladies out there,too. Well done, sis. Love yourself the way you are. And you are who you are if you love yourself. i always thought that make up is there to help girls boost their self confidence but not to hide who we really are..
you are such an inspiration being humble and so real.. this vid reminds me of a youtuber DiamondsAndHeels14.. Thank you so much for this video! So many female role models are admired for what's on the outside: their beauty or achievements. I'm so grateful to have a role model like you, who I can admire for what's on the inside: your sense of self. I love that you're an everyday Christian girl that I can completely relate to, who just happens to also have the kind of killer confidence that I want for myself. I feel that if you can completely accept yourself, I can too, and that knowledge is so empowering! First of all...you look soooo much younger. Two! You are so pretty! Three...I wish I had to courage to go bare faced in public. This post is so encouraging! This is my first time put down a message here even though I have follow your blog and video for so many years. I just want to say : Thank you Jen. You still look very beautiful even without make up. 'Fighting'! What you say is absolutely true! Today you made ​​me remember that I can not let myself fall for that. This world is hard enough by itself and we ourselves become more complicated and hard. Today you put a smile on my face and a tear in my eyes, and also gave me strength. Sometimes is difficult to remind myself every day thatI must to be strong. I am another follower who has never posted on your blog before today. And, yes, until your post today I thought you were just another pretty face, but you proved me wrong. I am also Korean-American, but much older than you (46) and an inspired that someone of your generation is so thoughtful and real. As another poster said above, Koreans are particulary image conscious and judgmental. 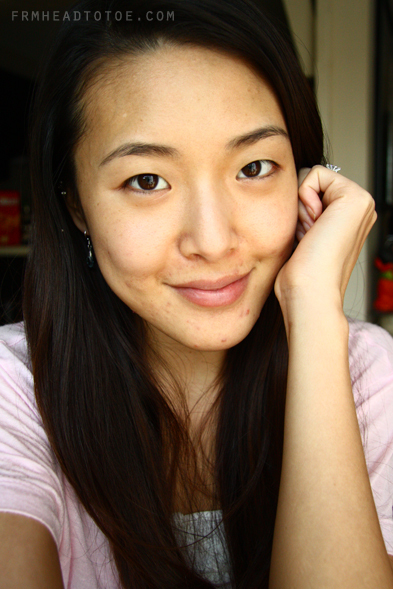 I didnt wear makeup until I was 29, when I moved back to Korea for 2 years. My mothe warned me that EVERYONE wore makeup and I would be treated with disrespect if I was not made up and wore "nice" clothes. I am raising my daughter (almost 13) to love not only her appearance, but her brains and athletic abilities as well. But, it is a battle since she can't help but compare herself to other girls and feel that she falls short in some aspect. Thank you for a great blog, great tips. Now I see why your beauty shines in her videos - your outward appearance is bolstered by your inner beauty! I just watched all of your Heart 2 Heart videos, and really almost started to cry because I feel the same way. I'm now in Junior High School and I have heard lot of comments that I'm too skinny. It really hurts. Also I have struggle with acne, but now my skin is more better. I just to keep myself confident and follow my dreams. These videos just help me with that. Really Jen, you are beautiful, inside and out, without makeup and with makeup. Thank you so much for sharing this video. I've always thought that you are beautiful! Frankly, I'm not much into makeup but if I ever need to get some makeup advices, you're the first person I go to. I love reading about your reviews. You are way too cute! The information you shared is so true. I'm a firm believer that we should always be true to ourselves, it's actually our 'ego' that are mean to others. Thanks again for all your videos. Your skin looks wonderful even without makeup. What a great idea to blog about! You're still gorgeous! Love your philosophy & how genuine you are! also, ur truly a beauty makeup guru, whenever there're new videos, I always like to watch yours first!! Another great Video Jen ! I guess, all woman have those inside battle in their mind. We care about how other judge us, the way we look and how other girls are prettier than us ...etc. it is such an endless battle. At the end of all these, u are right, we have to learn to love who we are and what we have. Make up and fashion is just part of us, an extension of us but definitly not something to cover the true ME. I love u as a person, ur style, ur thinking and of course ur videos and blog. U are very real, honest and true person. Things that u post are beyond just a simple beauty blog. Wanted to thank u to take time to do all these for all of us. And by the way, for ur acne problems. I think ur diet and chinese medcine will help you. Since you are Korean, i think they do have herbal medcine tea that are absolutly natural to ur body that could help to balance and regulates ur body. The Acne is not just from treating the skin and the exterior, but the best way to treat is from inside ur body. A heathly and clean body system will help u find a perfect skin. I think you see and face make up in such a clever way. - it's ok to like and wear make up, it's ok so spend hours on youtube watching tutoriaS tutorials. It doesn't make you someone superficial. We are not just make up addict, we are women trying to feel good about themselves. I wanted to say that you're sending a really good message, and that since the beginning. Hi there! i just started watching your videos today and end up with this heart 2 heart , :D guess what ^ ^ i like you . Hi! I'm affraid that this is my first comment on your blog, although I am a big fan of your site for a long time. I'm so happy that you made this video, because I can see now how wonderful person you are. I love make up and I wear it pretty much every day. But I'm aware that it can only improve my face. The most important is what somebody has in his/her heart. I think that your beauty shine from inside and I admire you for that and for your courage to face people with bare face and open heart. Thank you for that. Hi! Jen! This is my first comment on your blog. I'm from HK and follow your blog since mid of last year, my DIY bridal make up and hair style was inspired by you. (haha!! though I'm in short hair cut:) Million thanks for your sharing and inspiration!! Noted your acne problem, just would like to take this chance to try to recommend you a product which was worked on me and see whether it can help you too. It is "Murad Acne Spot Treatment". you can find it in Sephora, not costly and worth it(hmm.. i bought it in Canada, but i think it also can be found in US) Oh! I will back to Canada almost once a year as there is my hubby's hometown. Anyway, just wanna to share it and hope it can help. cheers!! Thank you for being you, and thank you for being you on youtube. You're such an inspiration to me and I've only found you a few months ago! I've gone through and watched every single one of your videos and despite all the perfect make up you had on in each, it was your sparkly eyes and bright smiles that stood out to me. I think that's one of the reason I kept coming back to your videos, I can't get enough of your beautiful and honest personality that is far greater than looks or other people's opinions. Like a lot of the people commenting here, I'm not much of the type to leave trails when surfing around, but I felt like since you've done your best to reach out to me and all of us out here around the world alike, I might as well express my sincere gratitude and appreciation and hope that it would reach and touch you too. I realize that I don't have big problems with my face or my body, but I've always felt unhappy and uncomfortable in my own skin. I'm still trying to figure it out, and you've helped assure me that it is posible to get past all that and to just be the person that I am on the inside. It might take a while until I get it all straighten out but you've made me realize that I'm still young and that it is okay. You might have actually saved me from years of misery. I haven't been wearing make up on a daily basis but am planning to once I start college this fall. I guess your presence online will serve as a reminder that I should never let what I wear on my face define who I am no matter where I am in the world or who I am surrounded by. I'm extremely glad people like you are putting yourselves out there solely for the sake of others. You are truly my role model and I would probably cry tears of happiness if I actually met you in person. I kind of feel like you're my fairy god mother. Haha. I love you so much already and I don't even know you! Please never stop doing what you are doing! You so made me cry with this video, you are totally shining from within, such a beautiful person you are!! I love your outlook of life, i can feel your passion and sincerity to reach out to others without being afraid to show who you are. I'm still afraid to go out of the house without my concealer and eyeliner, those huge eyebags and weary eyes made me feel insecure, I feel that everyday is a battle and I feel tired and can't wait for the day to be over before it even start. I depend on sleeping pills to help me get rest and shut my mind off. I want to heal from the inside, to be healthy and happy. I need to learn to accept who I am rather than seek for acceptance. Thank you for your video, it help me reflect on myself and figure out what I need to. I want to let go of my insecurities, think positive, live healthily and just be me!! I'm glad I found you JEN, really, from the bottom of my heart, THANK YOU!!!! thank you for your post. i am glad you are using your beauty blogger position to make a positive impact on women. Jen, I am another lurker who has followed your blog for a while but never posted. I just wanted to let you know that I admire your strength and your beauty, inside and out. I'm in my 30s, and staring to stress over the signs of aging. Sometimes, we lose track of what's important. Thank you for the reminder and for being such a great role model to us all, young and old. I really admire your honesty and you have a very powerful message, that we are more than out outward appearance, and if we change that with make-up, that does not affect who we are as people. I used to judge girls who cared about their appearance in junior high and high school. Then I realized that I also cared about appearances. I would only shop at Hot Topic, and always made sure I was caked in black eyeliner and nail polish. I am 21 now and I care about looking polished at job interviews or internships. I realized that changing my outward appearance does not alter me as a person. I can lose weight, gain weight, wear make-up, not wear make-up, or chop off all my hair tomarrow, it does not change who I am. Hi Jen, thank you for your heart to heart video. You are truly an inspiration, I really admire your honesty in your video. Thanks again! Your are beautiful and alos the video is beautiful. My respect for you has gone up several notches after reading this post. Thanks for being a brave role model! Beijão e parabéns pelo seu trabalho. Jen, your message is very strong and helpful. I've been through insecurities like that too. Don't worry about the acne, it only means you are a little unhealthy at the moment. I've been suffering from tons of skin problems for the past 10 years and I finally found the underlying problem so I really want to share this with you. After doing massive research and personal trials, I realize our skin's master is our intestines. If your digestive system is failing, it will reflect right on your skin. Instead of doing masks and facial treatments, treat yourself with some healthy foods. Try eating yogurt daily with oats and cereal and keep your diet to 70% veggies/fruits and 30% meat. Decrease the amount of processed & deep fried foods. Drink a glass of water every 2 hours. Try to get your beauty sleep between 11 pm - 1 am. Do at least 30 mins of exercise a day. Try a yogurt mask for whitening. Our body is the best doctor in the world, and it will heal itself eventually. Be patient and it will be alright! You are beautiful as you are and a few acne will never be able to ruin that. Good Luck~! Thanks to you, i can feel more beautiful about myself without any makeup. P.S. You are beautiful with no make up. really. I seriously want to really thank you for such an article. It's incredibly brave and I would not be able to do, even if I should but I am often struck down by my defaults. You're a gorgeous young woman and it's a relief that you share this kind of thing. So THANK YOU THANK YOU THANK YOU! Hi Jen. I'm not good at English but I just want to thank you for helping me to accept myself the way I am. Now I feel really comfortable. I'm getting unafraid of looking at my face in the mirror, even when I have lots of acne. And thank you so much for speaking clearly and slowly in all your videos. Even to me, who is not a native English speaker, what you says in videos is really easy to understand. wow you are awesome, i look up to you!! I don't know why but sometimes your videos, especially the more personal ones make me teary. snif. Thank you for this incredibly inspiring video/post! I've been following your blog for a year and don't comment much but I just appreciate your refreshing honesty and sincerity. Thank you! I like this video very much:) Just thank you for it. I totally agree with what you're saying. It's remarkable how shy people can get as soon as they don't have make up on. Did anyone else notice how little she looked straight into the camera? It just shows how we're all the same, even Youtube beauty guru's. Thanks for putting up these kind of vids Jen! Well said and very inspiring. I would have never guessed you had skin issues before seeing the video. I'm 48 and on top of having sebaceous hyperplasia, now get to see spider veins and melasma on my face. It's all okay:-) Heck, I didn't start a beauty blog until this year - which meant showing my quite imperfect and aging face - to complete strangers. Can't wait to share this with you!!! I have been following your blog for sometime now. Really love all your make-up tutorials and heart-to-heart talk!! You are such a beautiful lady, inside and out!! Since I discovering your video on YouTube, I started practicing putting on make-up, and have been wearing make-up on a more regular basis. To my surprise, people actually started noticing and paying me lots of compliments. I was so happy and thrilled of what make-up can do for someone. Recently, I was asked to design a matching jewelry for a girl's prom dress (I am a part-time jewelry artist), and it expanded into another afternoon of make-up and hair styling. I was so nervous doing her make-up and hair, as I really wanted to make sure that she will look good for her prom that night!! Anyway, I guess it turned out alright, and she seemed very happy with what I did! The only thing that I regretted was I wish I had more courage to put on more eyeshadow on her. It might make her eyes look even bigger! But, I was so afraid that I might overdone it. After I finished with her look, she said to me "I don't think I had ever looked this good before"!! I was so Haaaaaaaaaaaaaappy. Anyway, thank you, Jen!! Most truly!! Thank you for sharing your knowledge with me, you have brought so much smiles into my life!! If you are interested, here is the link to a photo of the girl with her prom dress, necklace, and make-up. I hope you will give me some advice! Also, if you could, can you do a tutorial on make-up for this color of royal blue dress/outfit. Thank you so much, Jen!! Love ya!!! Thank u Jen for the video. You look younger without makeup. Wow. i don't even remember how to response. are beautiful when you're being yourself and it's okay not to be perfect. inspiring. I feel like i'm very close to you and feel the same way even though you're in USA and I'm in Korea. :) This is one of the greatest things about the Internet! Well, anyway my Englisgh is not that good so I don't know if you understand my words but I want to say thank you very much again! Hope I can watch Heart 2 Heart video next year! I live in a place where putting make up is kind of frowned upon. I mean, if you are wearing make up in broad daylight people will look at you and not in a good way. So for me is the other way round. I just started wearing make up BECAUSE i'm confident enough to not care of what other people say. I started to wear it because i learned to love myself. I'm 34 and proud to be learning. Thank YOU for being so beautiful inside out. And also thank you for having monolids like me so that its easier for me to learn. You are a great teacher and i love you so muuuch. Thank youu!!!! OMG what a huge difference. Make up is really an illusion and ppl rely so much on superficiality. Thx for posting this pic now I really have to work on experimenting make up. Love you more through this video! Wish you all the best. Your makeup videos are always very fun to watch. However, these heart 2 heart videos means so much more to me and to many women out there. We need people like you who can inspire more self love and self acceptance and pleaded keep broadcasting these messages. You are making a difference here.